Emily is a NY based costume designer who has collaborated with Project Y over the past few years. In Karl Gajdusek’s play FUBAR she worked closely with director Larissa Kokernot to create costumes that captured the grit of the boxing world and the erratic nature of the 30-something culture in late 90’s San Francisco. She also designed costumes for The Revival written by Samuel Brett Williams and directed by Michole Biancosino that helped depict the people living in a small town Baptist community in Arkansas. Emily’s New York design credits include: Milk, New Georges; Two-Handers, Psycho Therapy, Midtown Intl. Theatre Festival; Henry V, Walkerspace; A Slight Headache, South Street Seaport Museum; King of Shadows, Theatre for the New City; Tio Pepe, Summer Play Festival; The Scariest, 45 Bleecker; Frankenstein, 37 Arts; Fizz, Ohio Theatre. Regional design credits include: Old Globe, Arizona Theatre Company, Shakespeare Theatre of New Jersey, Commonwealth Shakespeare, Dorset Theatre Festival, White Plains Performing Arts Center, Delaware Theatre, Williamstown Theatre Festival, Two River Theater, 10 Thousand Things MN and La Jolla Playhouse. She also participated in the Gobrowicz festival in Lublin Poland. 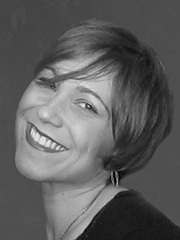 Emily holds an MFA in design from University of California San Diego. For more information visit: www.emilypepper.com.